An architect and cafe-owner by day—but musician by night—Lin holds a Masters degree in Design and runs three of Kuala Lumpur’s top food and beverage establishments, but her heart is very much devoted to music. Lin was born in Sydney and grew up in Penang before spending another 10 years in Australia. 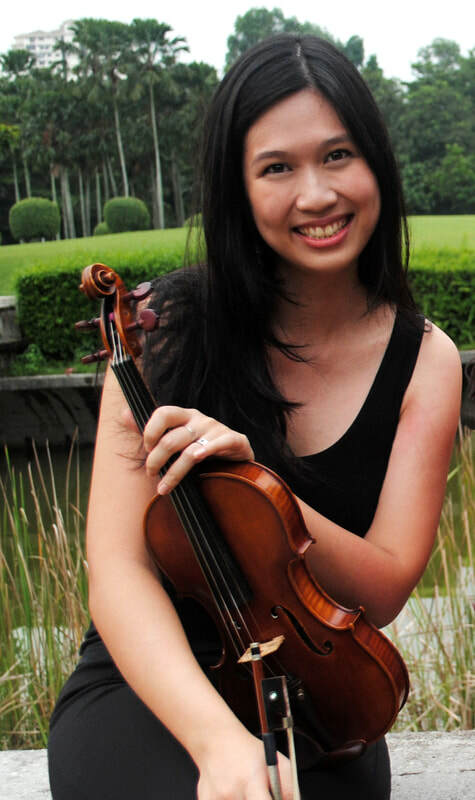 As a violinist, she has had ample experience playing in orchestras and chamber groups in Malaysia, Australia and the UK for over two decades. She has performed with the Penang State Symphony Orchestra (1993-2000), the National Symphony Orchestra (1998), the University of New South Wales Orchestra in Sydney (2002-2009) and the Nottingham University String Orchestra in the UK (2006). Since 2016, Lin has served as Concertmaster of the Kuala Lumpur Performing Arts Centre Orchestra, which is dedicated to providing opportunities for young talented musicians to gain valuable orchestral experience through the performance of classical repertoire at a high standard in a friendly and supportive environment. Lin has also been a regular member of the Selangor Symphony Orchestra since its inaugural concert in November 2015. The SSO, which is supported by the Selangor royal family, serves as a platform for accomplished Malaysian professional classical musicians, and Lin performs both large orchestral and smaller chamber concerts with the SSO. She is also a key member of the Kuala Lumpur City Opera (KLCO) Orchestra and currently serves as Principal Second Violin. She has performed in many KLCO productions including as Rossini’s La Bohème, Mozart’s Marriage of Figaro, La Fille du Régiment by Donizetti, Humperdinck’s Hansel & Gretel and Puccini’s Madame Butterfly. Lin is an early music enthusiast and is a founding member and Wicked Music People (WMP)—an early music ensemble based in Kuala Lumpur, in which she plays baroque violin. WMP’s mission is to introduce period instruments to Malaysians and to make early music more accessible through performances in unconventional venues as well as through outreach programmes. Although only 2 years old, WMP have been featured in festivals such as OperaKUL and the George Town Festival, and is the first Malaysian early music ensemble to perform at the Dewan Filharmonik Petronas. Lin is honoured to appear frequently in performances of Bachfest Malaysia.